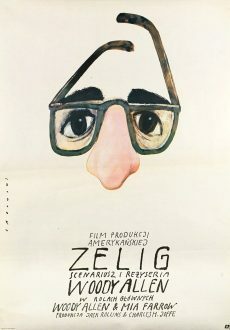 Some (older) people may recall the 1983 Warner Brothers mockumentary, Zelig, written by, and starring Woody Allen, together with Mia Farrow as the psychiatrist who treats him for his strange disorder. Lately I have been thinking a lot about this classic portrayal of conformism on the part of a man who manifested his adaptation to his social surroundings concretely by literally assuming the characteristics of those surrounding him, such as visibly and rapidly growing a beard when he is surrounded by bearded men. In the course of using hypnotism in her treatment of Zelig, Dr Fletcher (Farrow) discovers that his condition is symptomatic of his deep-seated yearning for the approval of others — to find such approval (or rather, its semblance), Zelig imitates the appearance of those in his immediate proximity. From the perspective of 2018, 35 years after it appeared, Allen’s Zelig seems prophetic. Never before has there been an age when the overwhelming social trend has been conformity on such a large scale. Moreover, such conformity has today assumed the guise of the politically correct. If you don’t conform, you run the risk of being roundly execrated, particularly via the valorised communication channels of our era, to wit, social media platforms like Facebook, Twitter, WhatsApp and Instagram. After all, the first step in one’s conformity lies in adopting these communication channels for (supposedly) expressing one’s ‘own’ views, opinions, likes and dislikes. This is where, philosophically as well as psychologically speaking, a problem is encountered, though. In a social and communicational context permeated by an implicit and powerful, albeit tacit, pressure to conform, there is a very real possibility that one’s ‘own’ views are not at all your own. There are several classic analyses of human behaviour in situations marked by conformism or compliance — analyses that cast light on this strange phenomenon, that individuals would voluntarily relinquish their own ‘selves’ in favour of being indistinguishable from a homogeneously behaving group. 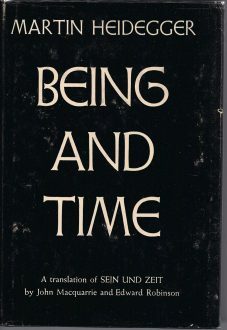 One such is Martin Heidegger’s perspicacious examination of what he calls ‘everydayness’ in Being and Time of 1927, which is recognisable by ‘ambiguity’, ‘curiosity’ and ‘idle talk’, all of which are ‘inauthentic’ modes of being-in-the-world, and which one cannot simply by-pass to attain an authentic sense of self. One is, first and foremost, immersed in these modes of existing, and has to ‘go through’ them, as it were, to find oneself — a difficult process which involves the ‘call of conscience’, as well as inescapable anxiety in the face of your own mortality, before a liberating embrace of the latter (which is usually denied) frees one for a more ‘authentic’ way of living, according to Heidegger. While some (notably Theodor Adorno) have criticised Heidegger for his use of the concept of ‘authenticity’, his analysis remains a valuable source for identifying the pitfalls of conformity and its accompanying loss of ‘self’. Other thinkers who have shed light on conformism are Adorno and his colleagues Max Horkheimer and Herbert Marcuse. But the person who has, perhaps better than any other, uncovered the paradoxical nature of conformity — ‘paradoxical’, because it turns out that the unconsciously motivating factor in conforming to stereotypical behaviour is the desire to ‘protect’ the self – is the much-neglected psychoanalytical thinker and critical theorist, Erich Fromm (1900-1980). As the important research of one of my doctoral students, Mark Amaradakis, recently reminded me, Fromm’s contribution to understanding this phenomenon is articulated inimitably in his study, Escape from Freedom of 1941 (Avon Books, New York 1965), whose paradoxical title already alerts one to what you will encounter in its pages. After all, why would one want to ‘escape from freedom’? This particular mechanism is the solution that the majority of normal individuals find in modern society. To put it briefly, the individual ceases to be himself; he adopts entirely the kind of personality offered to him by cultural patterns; and he therefore becomes exactly as all others are and as they expect him to be. The discrepancy between ‘I’ and the world disappears and with it the conscious fear of aloneness and powerlessness. This mechanism can be compared with the protective coloring some animals assume. [Think of Woody Allen’s Zelig as thematisation of this. BO.] They look so similar to their surroundings that they are hardly distinguishable from them. The person who gives up his individual self and becomes an automaton, identical with millions of other automatons around him, need not feel alone and anxious any more. But the price he pays, however, is high; it is the loss of his self. The assumption that the ‘normal’ way of overcoming aloneness is to become an automaton contradicts one of the most widespread ideas concerning man in our culture. The majority of us are supposed to be individuals who are free to think, feel, act as they please. To be sure this is not only the general opinion on the subject of modern individualism, but also each individual sincerely believes that he is ‘he’ and that his thoughts, feelings, wishes are ‘his.’ Yet, although there are true individuals among us, this belief is an illusion in most cases and a dangerous one for that matter, as it blocks the removal of those conditions that are responsible for this state of affairs. The very last sentence is of tremendous political significance, because it connects Fromm’s time with our own. The longer one is deluded into thinking that your participation in all the ‘cool’ social media technologies is a way to expressing ‘yourself’, the more the relations of subordination that obtain in our society, as they did in Fromm’s, are reinforced. And essentially, these hierarchical social and economic relations are the same today – although arguably much more entrenched – as they were in Fromm’s time, namely the inequalities in wealth and power that are inseparable from capitalism. Yes, capitalism – don’t think for a moment that it is ONLY an economic system; it is of direct political-economic relevance, and all the social media are its minions, even if they can sometimes be enlisted in the fight against it. We are proud that we are not subject to any external authority, that we are free to express our thoughts and feelings, and we take it for granted that this freedom almost automatically guarantees our individuality. The right to express our thoughts, however, means something only if we are able to have thoughts of our own; freedom from external authority is a lasting gain only if the inner psychological conditions are such that we are able to establish our own individuality. The question is therefore whether, in conforming to conventional expectations, particularly regarding online behaviour such as adulation of celebrity culture, we are ‘able to have thoughts of our own’, or whether we have already, in advance, relinquished our ‘selves’ voluntarily, fusing with other automatons for the sake of (unconsciously) repressing the (healthy) anxiety that comes with asserting one’s difference. In the process most people ‘escape from freedom’ into the arms of what may seem like a benign power, but is every bit as fascist (because all-embracing, allowing no other values than its own to exist) as that which did not bother to hide its true colours, as it does so effectively today.